You know when someone recommends a movie, you watch it and then walk out thinking there’s 90 minutes of my life I will never get back? 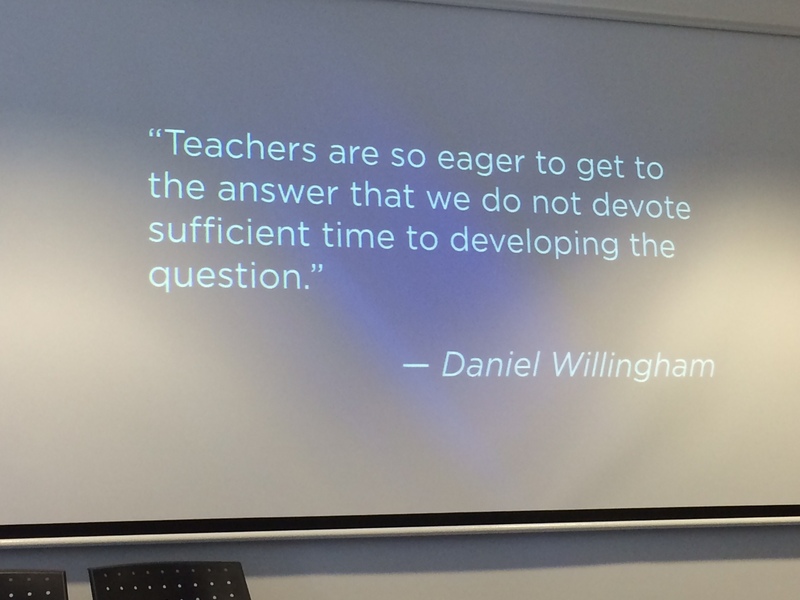 Definitely not the case in Adelaide when Dan Meyer presented in Adelaide on the 4th of August 2014. I had seen the TED Talk, read the blogs, taught the 3 Acts, spread the good word to anyone who was interested…let’s just say I was primed for the day and Dan Meyer did not disappoint. The question had me hooked from the start as this has always been an interest of mine, how can I engage students in mathematics whilst providing a level of challenge or ‘intellectual stretch’? I began thinking…What are some strategies, principles or processes I can put into practice? What are some examples of how not to do this? How can 3 Acts do this? How reflective of my current practice is this? My questions were answered plus more. 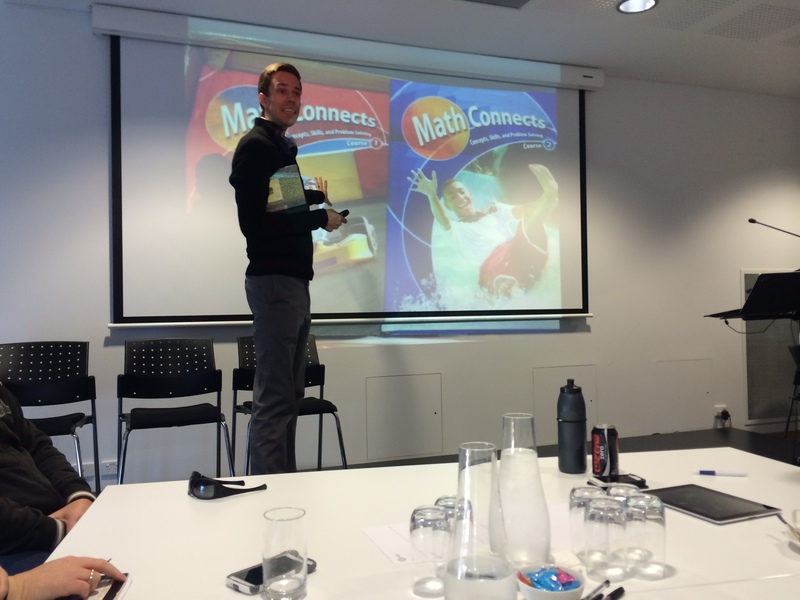 Dan provided some examples of where we go wrong when trying to engage students in maths and our textbooks can be the biggest culprit. Textbooks putting photos on the front of ‘fun’ contexts will translate into kids enjoying maths? No! How about putting grizzly bears and elephants into texts? Probably not, if anything it makes a mockery of the concepts being taught. What about if we put a concept into something “real world”? Doesn’t work as well as we think! How bout if I change the context to something else will that make it more interesting? Perhaps but just because the context might be suited, the content around the concept is the issue. Just because the textbook provides images, context and scaffolds doesn’t necessarily equate to engagement. Dan spoke of deconstructing the experience. Looking at what the teacher moves are and how they are different from a similar kind of problem in a textbook. It was a rewarding experience to not only experience Dan himself facilitate a 3-Act lesson (super stairs) but also have the opportunity to look closely at the pedagogy and thinking behind the Acts of the lesson, why each part was critical in its own way. How the opening Act is fragile and the way you handle student questions can make or break future lessons when asking for student questions. I found myself moving from the “that looks like a good lesson I’m going to try that with my students next week” to “ok this lesson looks good but what are the elements/aspects/teacher actions involved that make it this way?” The latter I believe makes for more sustainable improvement in the teaching and learning experience over time. If there was one thing that I took away more than others from the day was the reflection of the ‘how’ and ‘why’ more so than the task itself. More on Developing the question can be found here. The thinking and background behind 3-Act lessons was shared brilliantly. Dan made connections between some of the biggest blockbuster movies of all time and how they are created in 3 acts and how these stories can provide a framework for mathematical tasks. Greater detail on this can be found on Dan’s blog here. The connection between stories and the 3-acts were made transparently, no words, no talking, you can clearly see what is happening and it has you curious “what’s going to happen next?”. It’s not often a text book will do that and made me wonder with my favourite maths tasks how I could strike that curiosity in a better way for students. The first act (developing the question/setting the scene) for me personally is the one I generally do not do as successfully at the 2nd and 3rd acts. This is a fragile part of the lesson, the way you ask for guesses, handle students questioning, how simply the scene is set can be the make or break not just for that lesson in particular but the success of future experiences like this. Dan modeled the lesson well but it was how we were able to reflect on the teacher actions that hit the home run for me. 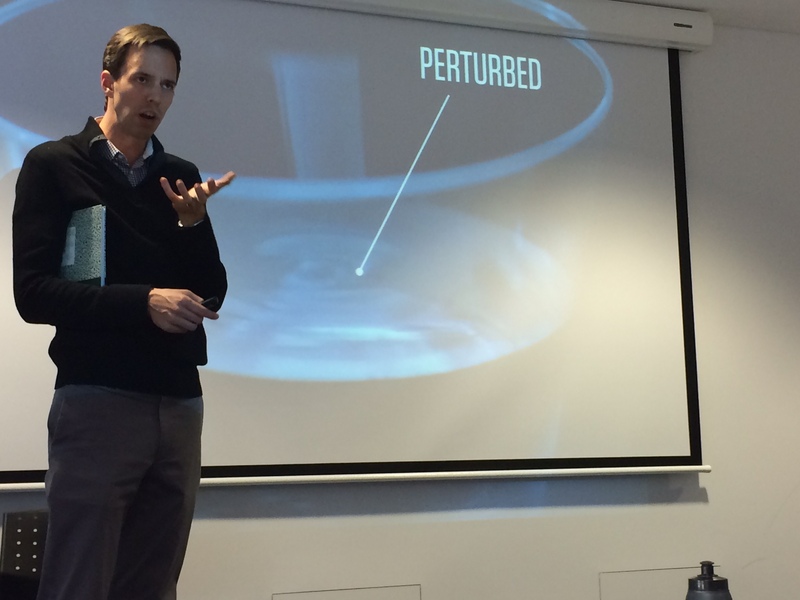 We were challenged to look at the pedagogical actions more than the surface of “the teacher showed a video”. For me this is what provides the most sustainable future for improvement in pedagogy. It wasn’t so much the task itself but the actions taken by the teacher that stuck in my mind. I think the most interesting part here was not necessarily the activities (found here under Intellectual need activities) but once again the “why” behind it. Each of these left my mind “perturbed” or “rippled” something on reflection I haven’t done well in the past for my students. They would enter my class with a “still” mind but I begin to question whether they left with that “ripple” to create the intellectual need. I left the day on a high! Not only because I had an opportunity to talk with and hear from someone I look up to in my career but because my thinking had been “rippled” further than I originally thought it would. It has given me another aspect I can use for improving pedagogy in mathematics, new ideas I can share with colleagues and another way of making over maths. If this was a movie I just saw, would I recommended it wholeheartedly?……….. You betcha!! This entry was posted in August 2014 and tagged 3acts, australia14.mrmeyer, dan meyer, dy/dan, intellectual need, mathematics, maths. Bookmark the permalink. Thanks for the recap here, Matt. Great seeing what people take away from the session and great meeting you and your wife. No problem Dan. Took lots away. I will be sharing this learning with teachers tomorrow and over the following weeks.